The BBC’s performance in the ratings for Christmas Night was its best ever, though its prime film attraction was not among the most popular programmes. Following record-breaking seasonal shows starring Bruce Forsyth, Mike Yarwood and Morecambe and Wise, BBC1 finished the night with the musical biopic Funny Girl, starring Barbra Streisand in her Oscar-winning performance. ITV, perhaps having sensed the stiff competition, put up another biopic, Young Winston, filling nearly three hours of peak viewing time and as usual failing to cause the Beeb any bother. 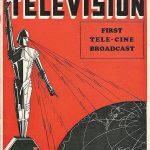 The challenges of finding suitable new film material were beginning to tell on both broadcasting organisations. The best ITV could find for afternoon matinees were Robinson Crusoe and the Tiger (1969), a European co-production aimed at children, and To See Such Fun (1977), a compilation of extracts from British comedies produced by the Rank Organisation, which had failed to secure a theatrical release even on Rank’s Odeon circuit. BBC1 offered up repeats from previous years of National Velvet (1944) and The Wizard of Oz (1939), and BBC2 finished the night with another repeat, The Big Sleep (1946). 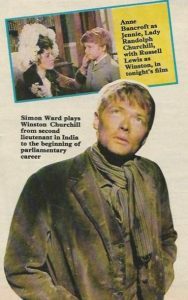 But earlier in the evening on BBC2 was the first in a short festive season entitled British Premiere, making a virtue of presenting other films passed up by UK cinemas. The Christmas Day selection was Storm Boy (1976), an award-winning Australian family film. Movies new to British audiences were to play a significant part in holiday schedules in subsequent years. The prime BBC attraction for this year was one of the biggest of the Big Ones hitherto held back from television. In a bidding war against ITV, the Corporation’s head of Programme Acquisition, Gunnar Rugheimer, had paid an extraordinary £2 million ($4,150,000) for the rights to show The Sound of Music up to ten times over ten years. In a period of austerity for the BBC, the deal was subjected to intense criticism in the press; but the Corporation’s Audience Research estimated the resulting audience as 26 million, a record for any film on the channel. The independent ratings service JICTAR, which often produced contradictory figures using a different method of measurement, estimated only 18.5 million viewers but nevertheless agreed that this was still a record-breaker for the Beeb. Starting at the same time on BBC2 was Akira Kurosawa’s Sino-Russian epic Dersu Uzala, for film fans possessed of sterner stuff (it was repeated on the same day three years later). ITV’s own afternoon competition was Battle for the Planet of the Apes (1973), the fifth and last in the science-fiction series, but TV-premiered in advance of the fourth (shown the following summer in a more suitable late-evening slot). However, the commercial network’s evening line-up was its strongest for many years, including its first Morecambe and Wise show in a decade after the duo had defected from the BBC and, more relevant to our concerns, the first showing on a Christmas Day of a James Bond film, Diamonds Are Forever. 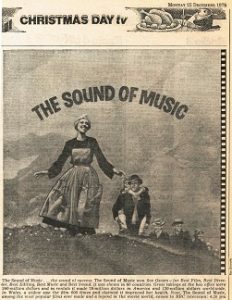 The early-evening transmission, requiring some edits for violence, partly overlapped with The Sound of Music and performed significantly less well in the ratings: JICTAR estimated 14.35 million viewers (though this excluded the Yorkshire region, whose local ITV station was blacked out by industrial action). But this was still a strong showing by the network’s standards: in opposition, BBC1 could offer nothing better than a TV-movie sequel, True Grit, a Further Adventure (1978). Another expensive acquisition (reported as £1 million) topped BBC1’s evening schedule. The Sting was Paul Newman and Robert Redford’s second co-starring vehicle following Butch Cassidy and the Sundance Kid, the Beeb’s star Christmas attraction of four years earlier. Up against Morecambe and Wise on ITV, it performed less well in the ratings than it might otherwise have done. 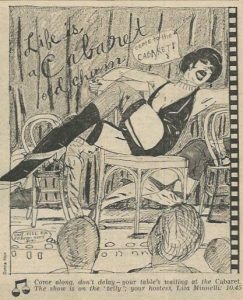 Thoughtful planning allowed viewers to watch the news following before switching over to BBC2 for another blockbuster premiere, the adult musical Cabaret. In the afternoon the channel had launched a holiday Beatles retrospective with a repeat of A Hard Day’s Night (1964). Earlier in the evening ITV offered The Three Musketeers, whose star Faye Dunaway (like Diamonds Are Forever’s Sean Connery the year before) featured on the cover of that year’s TVTimes. Its afternoon attraction was a third run of another Bond film, Goldfinger (1964). BBC1’s opposition was a minor live-action fantasy from Walt Disney, The Gnome-Mobile (1967), notable only because this was first Christmas Day transmission of a full-length film from the studio. Disney, which had held off from releasing its back catalogue to British television, had since 1972 allowed the BBC to screen one or two films a year, mostly transmitted on Christmas Eve. The next few years were to see its vaults thrown open to broadcasters as other sources dried up. This year was the Disaster Christmas: on Boxing Night, ITV’s Earthquake went head to head with the BBC’s The Towering Inferno, while on Christmas Night the Corporation led with Airport 1975, the sequel to its peak-time attraction of four years previously. This was much the weakest of the trio (all of which had been released theatrically in 1974, despite the latter’s title) and made for poor competition against Morecambe and Wise. 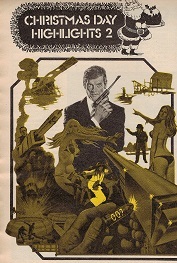 The commercial network had another Bond premiere for the early evening, also among the worst of its ilk: Roger Moore in The Man with the Golden Gun, which nevertheless drew the best film audience of the day. A disaster of another kind took the form of ITV’s afternoon presentation. George and Mildred (1980) was one of the last of the sitcom spinoffs, having died the death at the UK box office earlier that same year before making an early TV appearance. More worthwhile offerings were to be found elsewhere in the schedules. In the afternoon, BBC1 premiered one of Disney’s most successful live-action adventures, 20,000 Leagues under the Sea, while BBC2 offered a double bill of Blue Skies (1946) and The Band Wagon (1953) to launch a Fred Astaire season. The alternative channel continued another star season late at night, with Walter Matthau in a premiere of Billy Wilder’s The Front Page, also starring Jack Lemmon. The big film attractions of 1981 lay elsewhere than on Christmas Day. BBC1 split its most expensive acquisition yet, Gone with the Wind (1939), over the following two nights while ITV kept its own blockbuster, Close Encounters of the Third (1977), back until 28 December. That left lesser attractions for what had traditionally been the main day of the festive period. 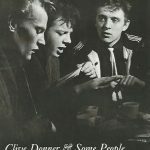 Both ITV and BBC1 premiered Disney fantasies in the afternoon – The Three Lives of Thomasina (1963) and In Search of the Castaways, respectively – and their late-evening films were notably poor. The commercial network offered a multi-star period comedy, Harry and Walter Go to New York (1976), about which its buyer Leslie Halliwell had been particularly scathing in his eponymous Film Guide. The only remarkable thing about BBC1’s Loophole (1981), a caper thriller starring Albert Finney, was its newness. This was another case of a recent commercial flop bailed out by a rapid TV sale. Even BBC2’s late-night feature in its festive Jack Lemmon season, The War between Men and Women (1972), was a minor affair. Once again, compensation was to be found earlier in the schedules. Following another Bond repeat with the third run of Dr. No (1962), ITV’s fourth film of the day was The Muppet Movie, one of the few successful productions of ITC, theatrical subsidiary of the network’s Midlands franchise-holder ATV. 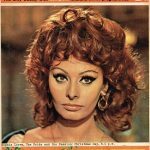 A mere two years old, its relatively early TV appearance prompted criticism of executive producer Lew Grade, who had been among the first major industry figures to break the ‘five-year rule’ that had been imposed on sales of films to television since 1964. But no-one could have made such complaints of the finest premiere of the day: Harold Lloyd in The Freshman, part of a BBC2 holiday season of the silent star’s films, many of which were new to television even if they were older than most of the viewing audience. There was a new kid on the block this year. Channel 4 had begun broadcasting just the previous month, the first new UK television network for nearly two decades. In keeping with its twin policies of giving airspace to independent producers and serving the interests of neglected audience segments, the channel’s debut Christmas schedule kicked off with a recent film from a newly-formed entity, the Children’s Film Unit. Captain Stirrick (1982) was made largely by and for young people, and inaugurated a series of such productions showcased each Christmas over the next few years. Later in the day Channel 4 offered carefully selected classic revivals: Buster Keaton in The Navigator (1924), Vivien Leigh and Claude Rains in Shaw’s Caesar and Cleopatra (1945) and Laurence Olivier’s Richard III (1955). All had been seen infrequently on British television and not for some years. Over on the established channels, ITV offered another unreleased recent picture, Enid Blyton’s The Island of Adventure (1982), followed by two more Disney features: The Parent Trap (1961) and The Black Hole. 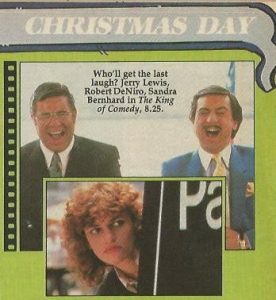 The latter was dropped in the TSW ITV region in favour of a comedy thriller, The In-Laws (1979), which the station’s controller considered a better bet for ratings – the first time a network scheduling consensus on Christmas Day had been broken since 1973. 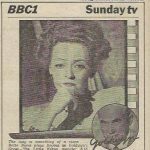 BBC1’s daytime schedule had two undistinguished family films, Mister Quilp (1975) and International Velvet (1978), followed in the evening by the all-star Agatha Christie mystery Death on the Nile. It had little competition except for the rival channels’ films, Morecambe and Wise’s annual show having been moved by ITV to Boxing Night. 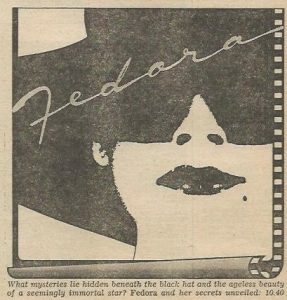 BBC2 went back to Billy Wilder for its late-night offering, the director’s artistic swansong (though not quite his final farewell), Fedora. Comedy dominated this year, in one way or another. Channel 4 again led the way in the afternoon with the first broadcast in sixteen years of the Busby Berkeley musical The Gang’s All Here (1943) and – astonishingly – the first UK television showing of Jacques Tati’s Monsieur Hulot’s Holiday. Its main evening attraction was another premiere of a recent commercial failure, in the shape of Martin Scorsese’s The King of Comedy. Exhibitors who had rejected it earlier in the year could hardly complain that the channel’s schedulers leapt at the chance of an early transmission. The late film on BBC1, Bryan Forbes’ Better Late than Never (1983), had understandably received no UK cinema exposure whatsoever. The last film of the late David Niven, who had died earlier in the year, it has barely been seen since, aside from two further BBC screenings. 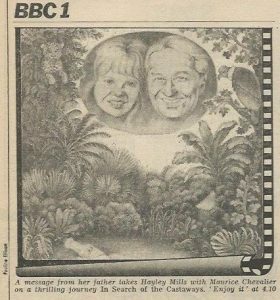 Earlier in the day BBC1 had offered The Glitterball (1977), one of a package of films acquired from the Children’s Film Foundation. 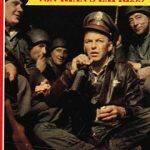 Like Disney, the CFF had previously been reluctant to release its back catalogue to television, but the erosion of its Saturday-matinee cinema market had left the organisation with little choice. The afternoon’s Disney premiere was the company’s first wholly live-action feature, Treasure Island. A sign of things to come was the scheduling of a feature-length episode of the popular comedy-drama series All Creatures and Great and Small in a peak-time slot which might once have gone to a cinema film. ITV offered a second run of Superman (1978) after the Queen, followed in the evening by Revenge of the Pink Panther (1978), the last of the series to feature an original performance by Peter Sellers as Inspector Clouseau, and not among the best. BBC2’s repeats were unsurpassable: a matinee of Meet Me in St. Louis (1944) and late-night Duck Soup (1933), entries respectively in seasons starring Judy Garland and the Marx Brothers. Ratings for Christmas films, which had been in a slump for four years, received a boost in 1984 with the TV premieres of a long-awaited classic and a recent blockbuster. 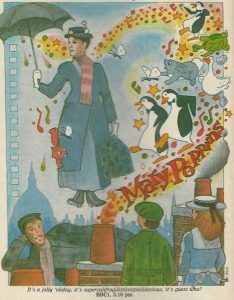 It might have seemed to some viewers that Mary Poppins was a regular visitor to home screens because of the frequency with which extracts appeared on Disney Time, a Bank Holiday perennial. But the full-length version drew an audience estimated as 17,350,000 to its BBC1 afternoon slot. In the evening, Raiders of the Lost Ark did even better for ITV, attracting two million more viewers for one of the best viewing figures for any Christmas Day film on record. Audience research was now conducted by BARB on behalf of both the BBC and the commercial channels, putting an end to the discrepancies in previous surveys. Elsewhere in this year’s schedules, BBC2 offered two films in its latest Charlie Chaplin season, A Dog’s Life (1918) and Limelight (1952), with three hours in the evening devoted to the Taviani brothers’ episodic Kaos. Channel 4 premiered two independent productions for children, The Custard Boys (1979) and The Young Visiters (1984), and another Jacques Tati comedy, Jour de fête (1949). ITV’s afternoon film was the third run of the Bond adventure The Man with the Golden Gun, which had premiered on Christmas Day four years earlier, while BBC1 finished the day with a repeat of Billy Wilder’s Some Like It Hot (1959), its big film of the same night in 1968. With feature-length editions of the TV series All Creatures Great and Small, Only Fools and Horses… and Minder dominating peak-time slots, there was little opportunity this year for the main channels to present blockbuster premieres. BBC1’s two films were scheduled at opposite ends of the day: a morning repeat of Disney’s The Gnome-Mobile, first shown on Christmas Day 1979, and late at night, Paul Newman and Sally Field in the thriller Absence of Malice. 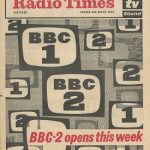 ITV offered three re-runs: for the morning, Disney’s The Black Hole, its main attraction from 1982; in the afternoon, Roger Moore as James Bond in Moonraker (1979), premiered on Boxing Day that same year; and ending the night, the British comedy Gregory’s Girl (1980), which had first been broadcast on Channel 4 in January 1985. It was left to the minority channels to offer fresher alternatives. Following a revival of the Marx Brothers’ At the Circus (1939), Channel 4 premiered the latest in its series of Thames Silents, presented by David Gill and Kevin Brownlow: Douglas Fairbanks in the lavish Arabian Nights fantasy The Thief of Bagdad, in a tinted print with a newly recorded score by Carl Davis. It clashed with BBC2’s afternoon repeat of Citizen Kane (1941), launching a season in tribute to the recently deceased Orson Welles. 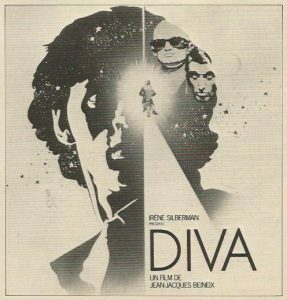 And in the evening, overlapping with both BBC1’s and ITV’s late offerings, was the premiere of cult French thriller Diva, un film de Jean-Jacques Beineix. A milestone was reached in 1986 with the first complete broadcast on British television of a Walt Disney animated feature. Hitherto the company had withheld them from TV exposure, preferring regular theatrical reissues and latterly release on home video. 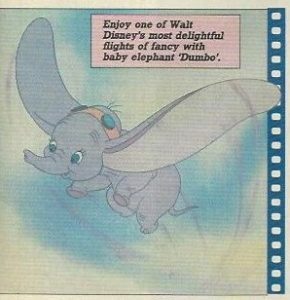 The decision to make Dumbo available to ITV began a thirty-year process of gradually letting go each of the crown jewels in the company’s treasury. The 42-year-old film was scheduled for the key afternoon slot, following the premiere in the morning of another live-action Disney classic, Swiss Family Robinson (1960). In the early evening, Sean Connery returned as James Bond in the non-canonical Never Say Never Again. BBC1’s daytime opposition to Dumbo was the bloated multi-million-dollar musical Annie (1982), and the main part of the evening was again taken up with feature-length episodes of TV series, this time including Miss Marple. In its now-traditional late-night slot the channel offered Michael Caine and Julie Walters in Educating Rita. Among BBC2’s five films of the day were a Billy Wilder double bill of The Fortune Cookie (1966) and Fedora, the latter repeated from Christmas Day 1982, and the premiere of another recent French import, Claude Lelouch’s musical biopic Edith and Marcel. Thanks to Nigel Phelan for his comments and corrections on this article. Forgot to mention. In the `1982 Xmas TVT for London, no regional variations for Xmas Day. This adds to the Black Hole feature at the front confirming it was TSW who dropped the movie not TVS. Thanks for this correction, Nigel – article now updated! As you say, it would be difficult to compile a list of exact cuts to transmissions of the Bond films, but it may be worth attempting one day! Thanks for your comment, Steve – I got my first VHS recorder in 1983, and still have some recordings from that year! The third transmission of STAR WARS was on 30 December 1984.